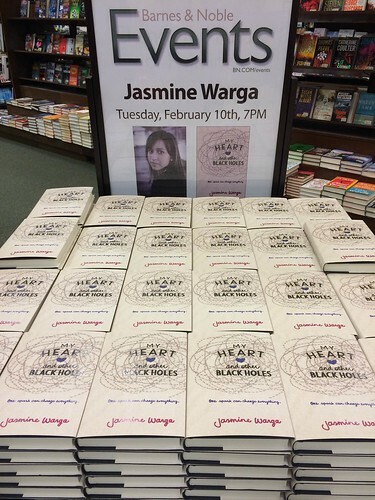 A couple weeks ago, I had the pleasure of attending the launch party for Jasmine Warga's debut novel MY HEART AND OTHER BLACK HOLES. 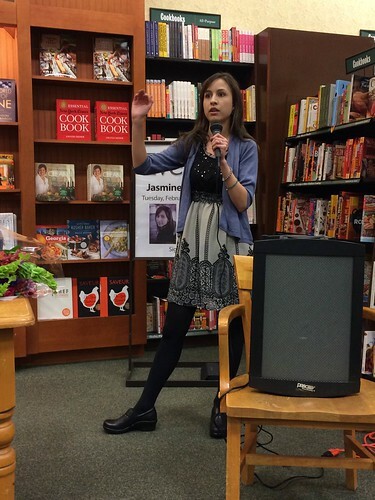 It was held at a local Barnes & Noble that Jasmine frequented as a teen herself. 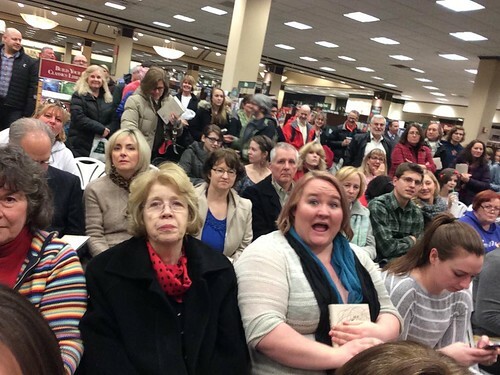 Throughout the evening, the crowd kept growing and growing, filling the room with family, friends, and fans. The event coordinator later revealed that this was their largest turnout ever! Jasmine (left) speaking with a young fan who approached her before the event. 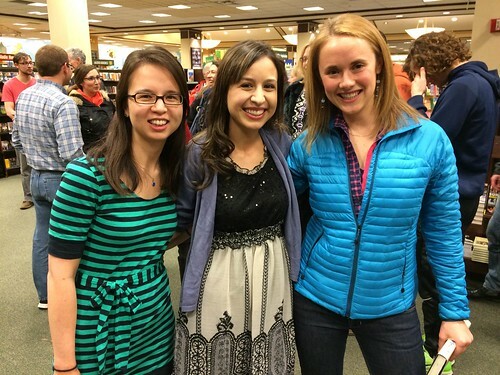 Me (left), Jasmine, and fellow Cincinnati author Kate Hattemer. 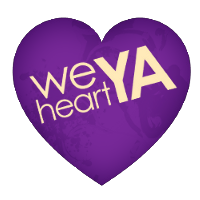 Other writer-friends in attendance included Emery Lord, Becky Albertalli, and Adam Silvera. The growing crowd. This is maybe 1/2 to 2/3 of its final size? It was standing room only! • Jasmine didn't specifically decide to write a Young Adult story. She just followed the voice of the protagonist that came into her head, who happened to be 16. There is also an immediacy of emotion when you're a teenager, which Jasmine enjoys and thought would work well for the story she needed to tell. • Jasmine used humor to make the sad/hard things in her story more accessible to readers. She herself has always been drawn to black comedy. Furthermore: "When I was a teen, I read really really dark stuff -- so this seems light compared to that!" 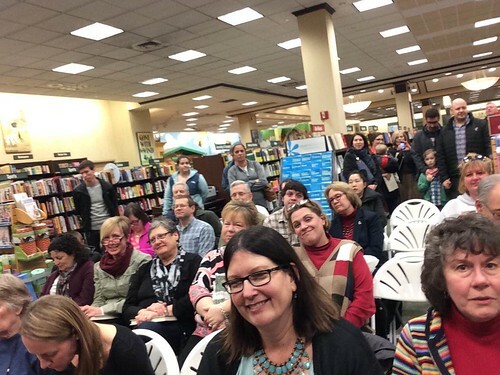 • One audience member asked, "Did you ever want to write [Aysel] out of being suicidal?" Jasmine considered this for a moment, then responded that because of her affection for Aysel, of course she wanted to rescue and protect her protagonist. But even stronger than that feeling was Jasmine's resolve to portray Aysel authentically, which meant letting her stumble and suffer. Jasmine added, "As a society we really stigmatize depression -- and [we have] this fear that if we talk about depression, we're going to make it contagious." Part of her motivation with MHAOBH was to debunk that myth and foster that important conversation. • In terms of her working style, Jasmine prefers not to plot because she writes to discover, and she uses the sense of mystery to carry her through the process. She also likes to jot story notes on her phone. When asked if she was working on a second book, she said yes and added, "If anyone is passing this on to my agent or editor, it's going really well!" • Jasmine's dad really wanted her to be a doctor. "But I think this turned out all right," she joked. • Even though she followed her own heart instead of her father's, Jasmine did worry that her dream of being an author was "too big." She credits her husband for having faith and encouraging her even when she wavered and considered doing something more stable. I have many other notes from the night, but I think you get the gist. 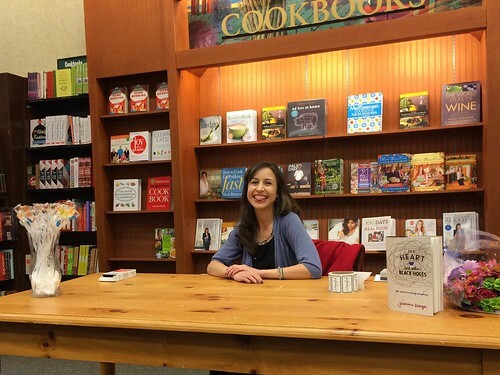 Jasmine was the perfect combination of funny and insightful -- just like her book. Interestingly, the most obvious element of diversity -- Aysel's Turkish heritage -- was not a focal point of the conversation. As we discussed in our YA Diversity Book Club chat, that's actually a good thing in this case, because it signals how organic that element was to the character and story. 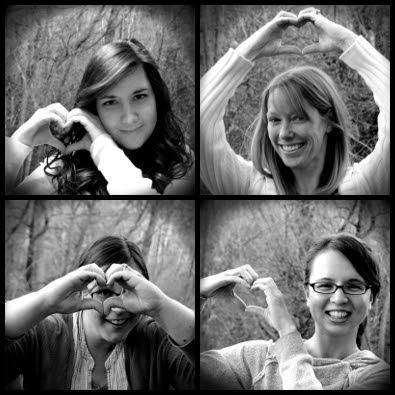 Race doesn't stick out -- and doesn't need to -- here. It just is. PS: Guess who sold out this entire stack of books? 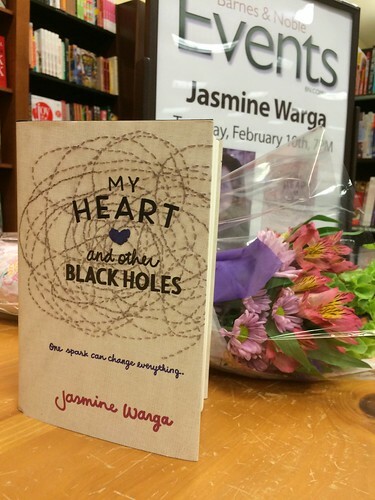 Do you have a post about MY HEART AND OTHER BLACK HOLES? Link up here! Next month we're reading BLACK DOVE WHITE RAVEN by Elizabeth Wein. Please feel free to join us! 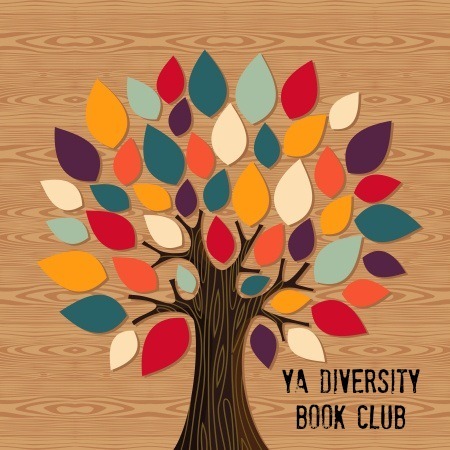 You can also see the full archive of YADBC posts and our #YADiversityBookClub tweets. Thanks for sharing your experience with us. What a fun event! 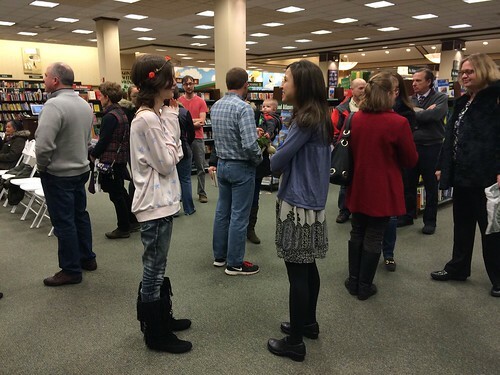 Congrats to Jasmine on the SRO crowd and selling out all those books! It sounds like a really meaningful presentation/discussion - and I so relate to Jasmine's comment about being drawn to dark stuff as a teen. And on a superficial note, I love her dress!